Clydebank’s recent good form was brought to an end by League leaders Hurlford United at Lochburn Park this afternoon. A solitary strike by Ross Robertson was enough to sink the Bankies and give the Ayrshire men their eighth straight league victory. Robertson has inflicted damage on the Bankies in several previous encounters and this was the third such occasion he has scored the winning goal. It was a poor goal to lose at a bad time considering Clydebank had weathered the early storm and had been on the ascendancy at the time. The Bankies remained competitive throughout but couldn’t find their way through a resilient Hurlford defence. There was only one change to the side from last week with Andy Paterson not 100% fully fit settling for a place on the bench with Jack McClair deputising. The visitors came into this came on the back of a seven match winning streak in the league and it was no real surprise when they immediately had the Bankies on the back foot with both Watt and Caddis trying and failing with long range efforts in the opening two minutes. The Bankies struggled in the early part of the game both with Hurlford’s physicality and their sharpness. The home players were second to every ball and found it hard to put anything constructive together at the other end of the pitch. Hurlford’s probing finally created a gilt edge chance in the 19th minute. The ball was passed into the Bankies penalty box too easily, and from around six yards out Robertson completely fluffed his shot with goal gaping. 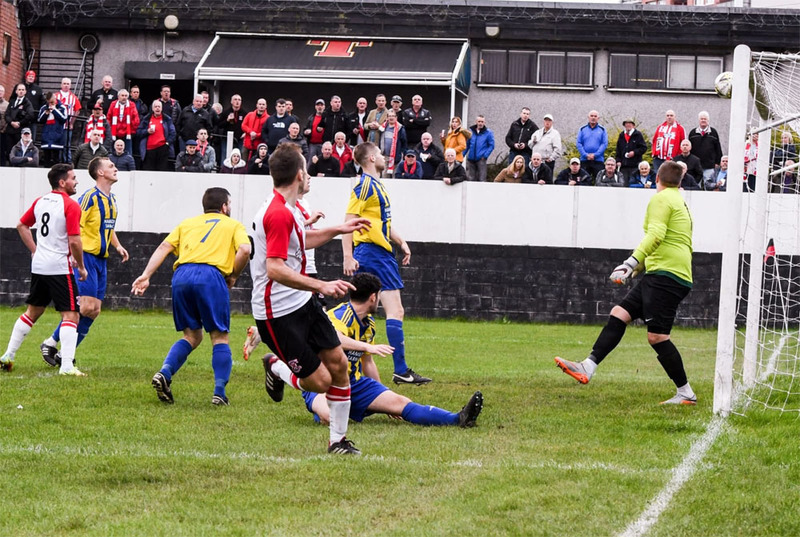 A second chance came from the rebound but the Bankies rode their luck as the ball bounced off the top of the bar. This was to be the visitors best spell as the Bankies started to claw their way into the match. 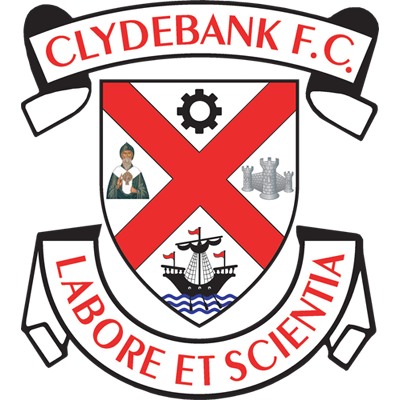 The first real chance for Clydebank came after 24 minutes when a cross from the left was cleared out to McClair on the left hand side of the box. It looked like he was trying to put the ball back into the danger zone but it took a wicked deflection that had Brown throwing himself backwards to spectacularly tip the goalbound ball over the bar. Two minutes later and the Bankies had a fantastic chance to open the scoring when McClair passed to Nicky Little who laid the ball off first time breaching the Hurlford defence. Ross Alexander found himself clear at the edge of the box, and he attempted a curling shot that was once again tipped over the bar by Brown in the away goal. With the clock ticking over the 45 minute mark, Hurlford asserted themselves again strongly. Ross Robertson missed an absolute sitter when he was the recipient of a fantastic cross from the right wing. With the whole goal to aim at he powered his header straight at Waters, who had to save reflexively to keep the ball out. As the home support breathed a sigh of relief thinking that the Bankies were going to make it into the break on level terms, a shock was to come moments later. The ball was passed into the Bankies penalty area way too easily finding Robertson with his back to goal. From around 12 yards out he spun to his left and rolled the ball into the net with his right foot. After defending stoically for so long, it was a disappointing goal to lose and a hammer blow being so close to half time. Jordan Shelvey failed to emerge for the second half after visibly struggling for most of the first period following a collision with Hurlford’s keeper Brown. Sean Higgins took his place. Within four minutes of the restart the Bankies had what was probably their best chance to equalise in the match. Good lead up play saw Cammy McClair deliver a fantastic cross to the back post. Chris Black did everything right, peeling off his man and drifting his head back across the goal leaving Brown stranded. It just wasn’t to be Clydebank’s day as the ball come off the face of the bar. Hurlford had a couple of chances just after. Firstly, Liam Caddis got on the end of a long deep ball into the box steering his header about a foot over the bar, then the other Caddis got behind the Bankies defence and prodded the ball past Waters only for McIndoe to be on hand to clear the goalbound effort into the stand. Nicky Little was unfortunate not to draw the sides level after 57 minutes when he chased after a long ball that caused indecision between Barron and Brown. The Bankies top scorer nipped in between them and got a toe on the ball, but his luck was out as it struck the keeper on the shoulder and spun out for a corner. This worked for the visitors as the Bankies started to tire in the last ten minutes or so and the Ayrshire men began to get the upper hand again, with Liam Caddis coming closest with a header at the near post that flashed past the Bankies goal. With time running out the Bankies mustered one last effort when McIndoe found Chris Black at the edge of the box. The midfielder never really had the ball under control and fell back as he sent his shot wide of Brown’s left hand post. 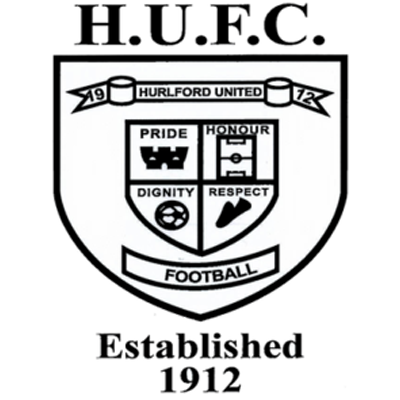 Overall, Hurlford probably deserved the win. There wasn’t a massive amount in it and the Bankies certainly had their chances. It wasn’t the result the Bankies fans wanted but the difference between now and this time last season is plain to see. Clydebank are probably still a bit away from the top two or three sides in the league, but recent form suggests that we will be competitive against most sides. 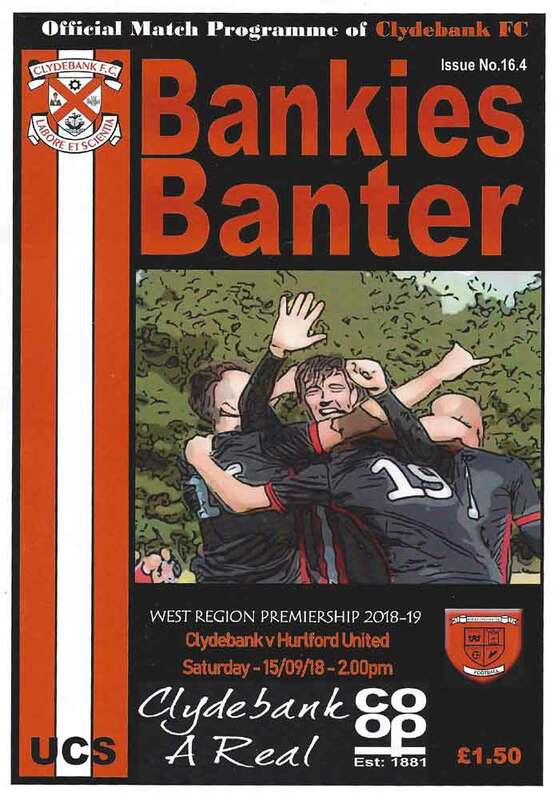 The Bankies tough run of fixtures against Ayrshire clubs continues next week with a tricky trip to Cumnock, a side which we have only beaten four times in sixteen matches.